Drestonia’s capital is cursed by hauntings and disappearing children, panicking the city. Curiously, it seems only Crown Princess Ellin, with the help of a young noble, Flynn Jolien, has the power to solve the dilemma. The problem is Flynn’s been seriously injured by a rival for Ellin’s attention and his only chance of survival depends on the magic of the contrary and elusive sorcerer, Grendel. Ellin must use all her courage and wit as she embarks on a dangerous journey against enemies known and unknown to find Grendel, save Lord Jolien’s life and return the stolen children of Floris to their parents. 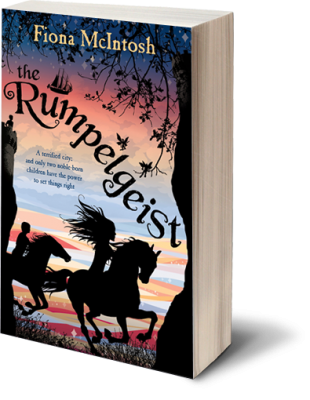 Fiona McIntosh’s follow-up to The Whisperer will thrill new readers, and those who enjoyed the first book can follow the fortunes of their favourite characters, including Bitter Olof and Calico Grace, several years on as well as delight in the new.